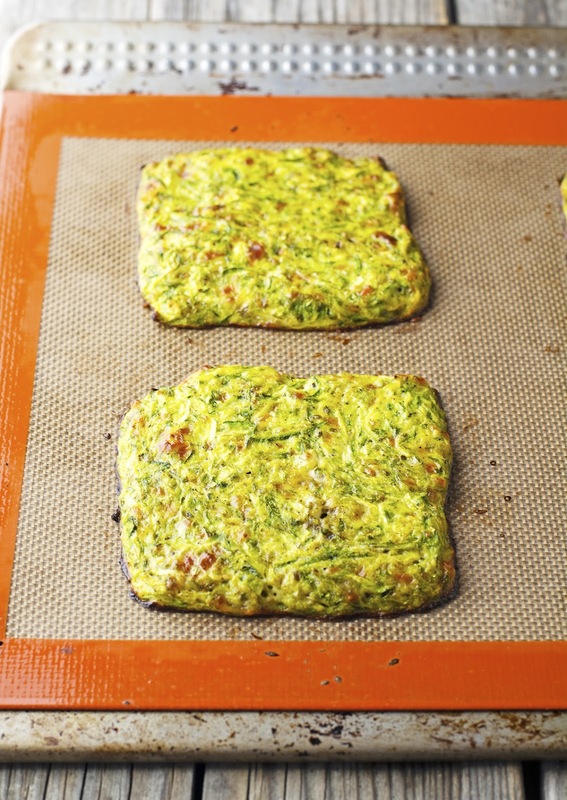 Enters the Zucchini Crust Grilled Cheese. What I did here was basically to use shredded zucchini instead of riced cauliflower to make the bread slices. Simple as that. The result is awesome. 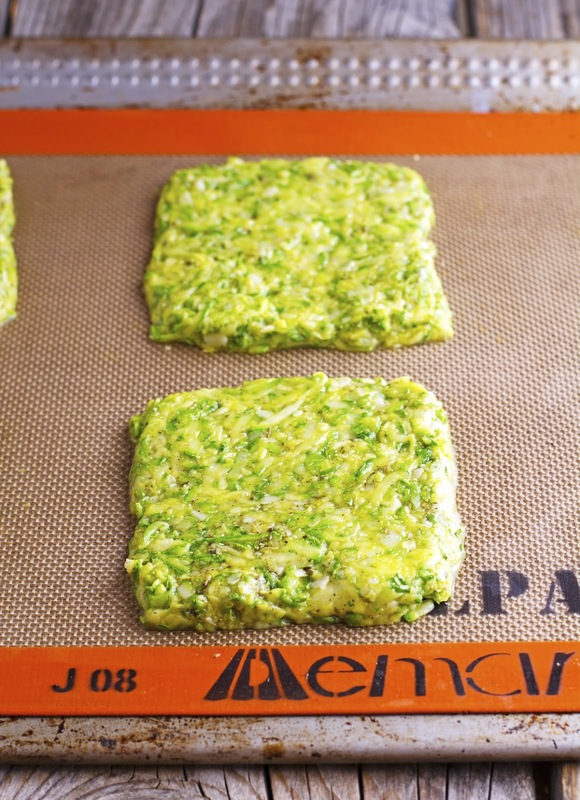 Green sliced of zucchini “bread” (made of shredded zucchini, mozzarella, Parmesan, and seasoning) that are perfect for making a grilled cheese. And since they’re made with veggies ergo low-carb, gluten-free, and healthy as a green juice, you’re free to indulge in the cheese, something I always do. 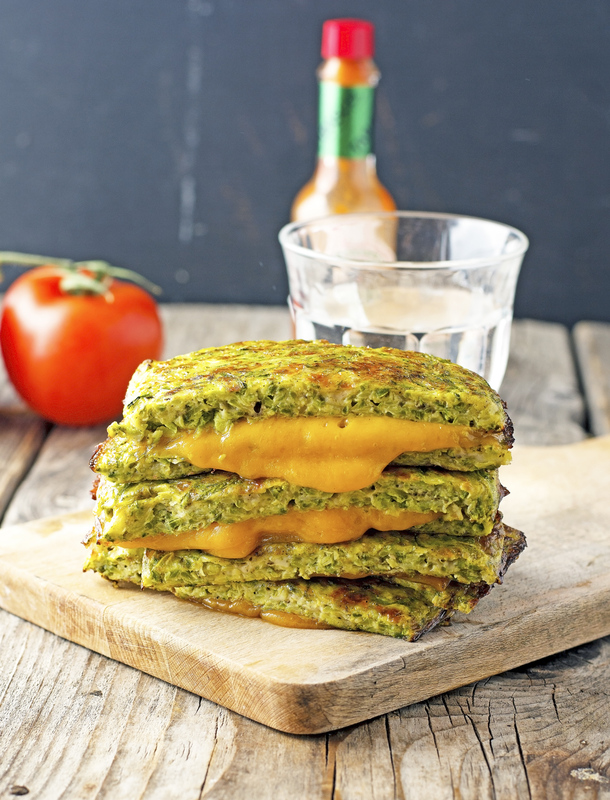 Would you believe me if I say that this Zucchini Crust Grilled Cheese is as awesome as my Cauli Crust Grilled Cheese? No? Then try it and see for yourself. 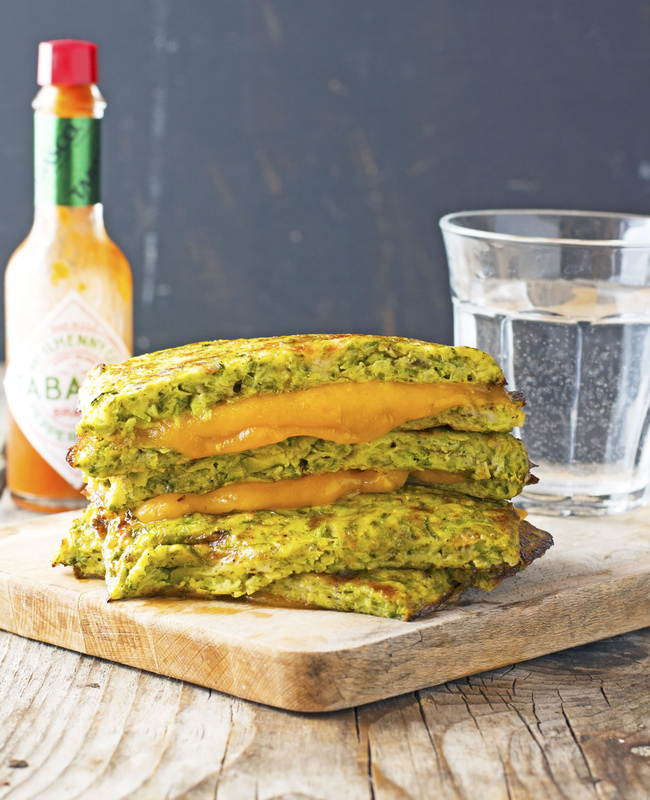 Zucchini Crust Grilled Cheese Print this recipe! Wait what?! Why have I never heard of zucchini bread before? This looks absolutely AMAZING!! I feel like I've been searching for this recipe since forever. A carbless grilled cheese? No, carbless BREAD. I HAVE to make this. Bookmarked. What if you don't own a microwave? i don't own a microwave, what do i do with the zuchinni instead? Hey Scott, you can cook the steam (or boil) the shredded zucchini. What matters most is that you squeeze out the moisture afterwards. Mike, do you think this would work with broccoli instead of zucchini? I prefer the flavor a little more. Plus, I thought there might be less liquid to have to squeeze out from broccoli than zucchini. Thoughts?? Yes, it should work with broccoli too. I would use my Cauliflower Crust Grilled Recipe (linked in the post) as a base for experimenting. If for no other reason that broccoli and cauliflower belong to the same family and have similar cooking properties; hence the ratio broccoli rice to egg/cheese should be almost identical. 10g carbs for one 'sandwich' seems high. I'm also curious about the net carb count. Can they be done without Parmesan? Hello! How long would the zucchini bread last in the freezer do you think?? Possible to make a bunch at a time or no??? I am lactose intolerant, any suggestions as to what to substitute for the cheese or could I leave it out? made it, loved it! added tomato soup as a side and it was fantastic. Never missed the bread!